‘Prepare today for tomorrow’ is the motto of the Mukwashi Trust School. 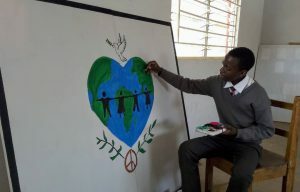 Everyday students come ready to work for a better tomorrow alongside their teachers and friends. Mukwashi means “family” and Mukwashi Trust School is certainly family to the children, educators, staff, and community that call MTS home. 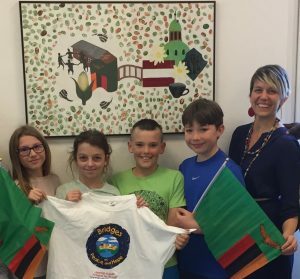 School celebrations such as Mother Tongue Day allow students to celebrate their cultural with one another and share their heritage with classrooms across the world. 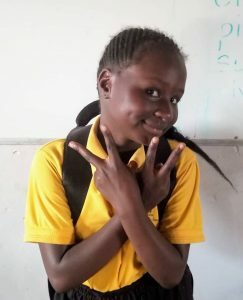 After concerted fundraising efforts and a groundbreaking ceremony last October, Mukwashi Trust School welcomed their inaugural 10th-grade class in the new secondary school building. This January (2019), the now inaugural 11th-grade class came back to campus ready and excited to learn! 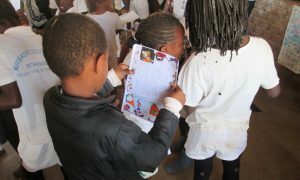 Mukwashi Trust School is a key collaborator in many BoPH international project. Last year, MTS students shared their hopes for the future, talents, and passions with students of the World Awareness Club in California. MTS third graders participated in a video exchange project with classes at AIS Vienna to create “Where We Live,” a celebration of the similarities and differences that unite and diversify our world. 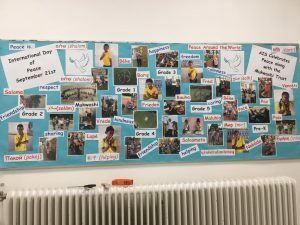 BoPHopers at AIS Danbury shared their love of play with Mukwashi by raising money for a GaGa Pit, the sister pits at each school are symbol of international collaboration and friendship. With the help of BoPH, Mukwashi Trust School finished construction of their new science wing in 2018. This year, Bridges of Peace and Hope will continue fundraising to build a new sanitation facility at Mukwashi. Our $60,000 donation goal will help build a new block to service Mukwashi Trust School students and staff. In addition to covering the supplies and labor needed to build the sanitation structures, these funds will be used to bring new freshwater resources to campus. 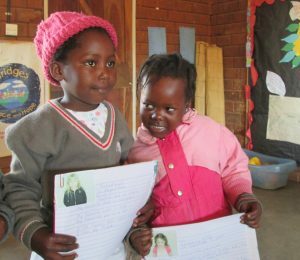 Click here to learn more about Mukwashi Trust School. 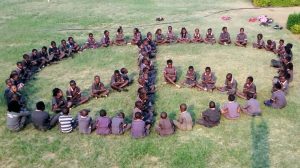 Click here to make a donation to the Mukwashi Trust School General Fund. Click here to make a donation to the Mukwashi Sanitation Initiative.